caption 08:55h. 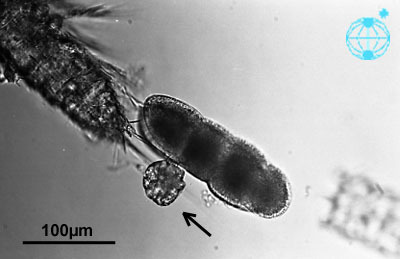 Gyrodinium undulans at an egg of a species belonging to the order Harpacticoida (in culture). This image is part of the collection of Dr. Gerhard Drebes.